Today I am super pumped to share a few peeks of my new office space! It’s almost finished. I’ll be sharing the full tour soon. But first, we’ve teamed up with Dutch Boy Paint to share two ways to add personality to a room with paint. Both techniques are relatively simple and quick (each a one-day-or-less project! ), but they make a huge visual impact. Let’s start with the door! Here’s the door before. Just a normal, boring door. I always planned to paint it a fun color, but after seeing some half-painted doors on Pinterest, I decided this was the perfect chance to try something fun like that. First I decided which portion of the door I wanted to paint. I could’ve gone with the straight-across half-and-half look, but I thought going diagonal would be a lot more fun! We placed the tape at the highest point we wanted the color to go, pulled it out all the way to the bottom stopping point, and flattened the tape to the door. Then, we repeated the process on the other side of the door. Little tip: Really press the tape well to get a good seal so the color doesn’t seep through. We used Brilliant Impressions for the yellow by Dutch Boy Paint, and I know I said this last time, but these paint buckets are so much easier to use than what I’m used to. We knew we wanted to choose a semi-gloss paint for the door so the surface is as durable as possible. Laura used a soft bristle brush to paint the desired portion of the door and allowed the paint to dry. Soft bristle brushes are best for this sort of job because they don’t leave brush strokes behind. With it being an old house, the old doorknob had already been painted a few times. So we went ahead and added another coat. 🙂 So glad we got to do this! I LOVE the look of the doorknob blending right into the yellow. If you’re trying this, but you have newer doorknobs, I totally respect your hesitation. Newer doorknobs seem to have a lot more hardware that paint could get into and really muck up. Once the paint is dry, we just peeled off the tape and revealed our updated new door underneath. Next, I decided to do an accent wall. My office is very small and bright. It has three huge windows. It was previously painted white, which I love. I wanted to keep that bright and crisp vibe, while adding just a little bit of pattern. This statement wall is really easy and fast to complete—it only took an hour for Laura to complete the whole wall! Not bad! We chose a flat 1″ wide craft brush to create the painted strokes. Little tip: It’s a good idea when you are doing a more free-form pattern like this one to create a guide to follow so your sizing and spacing remain consistent (you can see our guide in the photos above and below). The guide also helps you figure out how close together and how long you want your strokes to be. Just move the guide with you as you go to keep each section the same. Stand back from your wall every so often just to make sure the pattern is balanced. Once again, I’m amazed at the difference that just a little paint can make! I’m so excited about our painting updates and it feels AMAZING to be settled into a space. I already feel more productive. I’ll be back soon to share more photos of my new office space. Credits// Author: Elsie Larson, Project Assistant: Laura Gummerman, Photography: Sarah Rhodes. Photos edited with The Signature Collection. I love the half-painted door…and maybe I’d hand-print accents to the other half to have the best of both worlds! The door is my favorite!! I may have to do that to my office door!! The half painted door looks surprisingly awesome! I would never have thought to do that but it turned out really cool. I wouldn’t like how that would look in my apartment (I’m not big on blunt lines) but I’ll definitely let my friends know about this technique. I love both, but the half painted door is so eye-catching! How fun! I like the half door the most! I actually just moved into a new a apratment that is begging for some new paint. Finger’s crossed! I am in love the half painted door, I need more open space and pops on color in my life! I love both ideas, they look so easy to do too especially for someone who doesn’t have a lot of experience painting. You pretty much can’t mess either one up! I love the patterned painted wall! I love the hand painted wall – it’d be so fun in a kid’s room! Thanks for the giveaway! It’s hard to choose, but I love the hand- painted pattern. It looks like wallpaper! Oh gosh, I LOVE the door!! Oh my gosh, I just love that door! We have older doors and knobs in our new home and this would be super neat to try! I love the hand-painted wall! So cute and graphic. But hella easy! My love language. We’re renovating our new house (slowly, but surely) and trying to stick with budget friendly DIY’s where possible. I am so drawn to the the painted door technique and will definitely do it in our place. It seems SO simple, inexpensive and makes a huge impact! I don’t think I’m brave enough to pull off a half painted door, but I love the hand-painted accent wall. I am saving $$ to redo my office so this could be perfect! Love them both but that door is awesome! I’ve never thought about doing that. Can’t wait to see the rest of your office! I love the half painted door! It is such a fun way to spruce up something as ordinary as a door. It is unexpected! I love thE hand painted wall, it’s super simple but adds a great focal point. I love the hand painted wall! I think I’ll be doing something similar in my son’s nursery this weekend! the door! it’s just so adorable! The half painted door. That’s adorable! I can’t choose! I love them both, butttttt….. if I HAD to, I’d be more into the patterned wall. I love the half-painted door! We have crisp white walls in our entire apartment (trying to keep a Stockholm vibe!) but adding pops of color on our doors would make for such a fun visual! I’m think the bathroom door for sure! Oh my gosh, incredible giveaway!! I NEEEEED paint! We just moved into a new place that we hope to be in for a number of years and every.single.room. needs painting. This would be amazing. I LOVE the hand painted wall!! We just bought our very first home (move in 3 weeks! ), I can’t say enough how much your ideas are inspiring my boyfriend and I as we plan the look of our house! Thanks for being so awesome. Totally loving the half-painted door! The color is gorgeous, too! I love the door! I would love to have a bright pop of color like that to accent my door to my bedroom! I love the patterned wall, so cute. I love, love, love that wall. I LOVE the hand painted wall! Love the half painted door. I adore the half-painted door!! I have never seen that before!! Go ABM + Dutch Boy! The half painted door is such an amazing idea! I think I’m going to have to do it even if I don’t win! I love the yellow door! What a great way to add a bold pop of color. I love both, but I am partial to the door! You ladies (+ gentlemen:)) are so creative! I like the wall! I never want to remove wallpaper again but I love the texture it gives a room. The whole room is so colorful and fun!! Love the hand painted wall because I’m working on designing a subtle patterned wall in my bedroom. Great ideas! My office is desperately needing help, and this is just the inspiration I needed! I’m going to get my paint on this weekend! That door is perfect! I LOVE the door. I would love to add that to my bedroom. Oh man i love them both but I think I would be more likely to try the accent wall! So cute! I have never mustered the confidence to do something so organic and freehand on a wall…. It seemed so scary! This definitely has urged me to go ahead and try it! Looks fab lady!!! I love the door a lot. Both! I’d love to combine the two. I love both so it’s hard to say but I’ll have to go with the wall! I love the hand painted wall! It looks super easy to do, but it’s original. Two things I like! The door is a great idea!! Elsie, I am loving your hand painted wall! It looks great and ads the right amount of color and fun to the room without over doing it. Would love to do something similar in the bathrooms. I love the door and the pop of color it adds to the space. I have such boring doors in my house. I can’t wait to try something similar. OMG I’m totally in love with both of these ideas!! I feel like a half painted door is such an awesome way to add some color to a room without having to add much color! I like the door, myself. The color is really cheerful, and the design is simple enough to carry into the room (those pillows with the repeating pattern are great). I like the idea of the patterned wall, but I have so much clutter that it would look way too busy. Oh, it’s hard to choose! 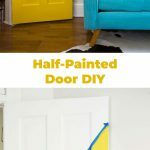 I’m going with the half-painted door, love the angle and adore yellow! I love the hand-painted wall! Looks beautiful & fun! I’m really liking the gray paint along with the 1/2 yellow door! I love both styles, but if I had to pick a favorite it would be the bold statement door. I am a yellow fan, love that door! I love the half door! A metallic or a neon would be super fun too. . . ??? I’m SO into the door! I’d love to paint mine a deep shade of purple. I’m loving the hand painted wall! It seems so simple, yet adds a great amount of drama & contrast. I bet you could get a similar effect with some torn or cut washi tape for renters like me & now I’m wondering where I could try this at in my place! Both are pretty amazing but I love that wall! So simple yet such a statement. I love all of this. The wall fits perfectly and does make a huge difference. I can’t wait to try it. I really like the accent wall! This office is adorable. Also- a tip for no bleed lines is to first paint the base color along the tape and let dry. Then paint your new color on top. In your case: painting white along the tape first. Then yellow. That way, the white is what bleeds through, not the yellow. You get a perfect line! Definitely the door, but I also looooved the free style wall is just that I know I dont have the artistic habilities (or patience for that matter) to be able to complete the whole wall all by myself and, it wont most definite look like anything but a mess. I love the half-painted door. I’ve never seen that before! I am currently renovating my own place and I love all the ideas on this blog! I love the door! Such a unique angle to see on a door plus the bright colour makes it a show stopper. I like how the doorknob blends in as well – such a nice finish to the room. Half painted door looks great. Honestly, both look amazing!! The patterned wall has to be my favourite though. definitely saved these pictures for inspiration in the future! I love both but the patterned wall would be something I would do in my place for sure. half painted door! it really is a quick change to a room that makes a world of difference. I really love the half-painted door! The half-painted door is E V E R Y T H I N G ! I would love to do one with half white, half pastel pink for a Scandinavian feel! Omg, your room looks so good! I love both techniques–they are so fun. I think if I HAD to choose a favorite (which is hard), I’d go with the painted wall. Although it’s bigger, it feels a little more subtle which suits my tastes more. But seriously, love this! definitely the half painted door–so cute!! I love both but I think I personally would pick the wall. That would be perfect in a bedroom with a grey/blue/natural color palette! I love the patterned wall most but they’re both great! torn. I think I like the pattered paint wall better. Especially with those curtains! I love the hand-painted wall. So cute! I die over the door! I’ve been trying REALLY hard (it’s pulling all my willpower actually) to not paint the walls in our current apartment because I went wild in the last one and it was not so fun painting back to move. Instead, I’ve tried to concentrate on renter friendly options that are easier to put back. I’ve made the deal with myself though, that a LITTLE paint is okay and as long as it’s a quick fix back and a creative use of paint, then that’s not a big deal and worth doing. I’m all about finding projects that are worth it. I might have to take a leaf out of your book and do all of the bedroom doors in our house in this nature. One turquoise, one yellow! Great job as usual ladies! I’m all about that door! Such a simple, clean way to get creative with your space & colors! I love the hand painted wall, so cute!! It’s really hard to choose one, but the hand painted wall stole my heart a little more! I love the door. Simple but a big statement! The half painted door is awesome! Dat door! Love the bright color pop. I think it would be fun to try it with a steel gray. I am crazy for the half-painted door!!! I adore the hand painted wall! You’ve inspired me to paint a wall in my home with this same pattern. Thanks Elsie & Laura! Both techniques together look great! But I would have to day the 1/2 painted door or more my thing. Super simple and stand out. Great giveaway! I love the patterned wall! Such a big statement in such a simple way. I love a lovely painted door! And the color- Perfect! Love that patterned wall. Love how the neutrals let the colors pop, but it’s still got a fun element all its own. I totally dig the half painted door. I’ve never seen that before, but I’m in love already! I love the half-painted door! It’s the perfect shade of yellow and it’s not overwhelmingly bright! I like the half-painted door more, it’s so bold and different! I absolutely love the pattern on the wall – and that color is gorgeous! LOVE the half-painted door! Will definitely be trying this in my home office! I love the half-painted door more, it’s so bold and different! I really like the idea of playing with the doors. It’s so much more bold and unexpected! I love love love the door, but feel like the patterned wall would go better in my room. my husband and i just bought our first home, so this would be amazing to win! i love the hand-painted wall. I would love to do a hand made paint like Sol Lewitt’s. I will move into my new appartment (since I moved from Barcelona to Mexico City) so I think it can be a great project! I love the hand painted wall – so fun! I love the half painted door! Haha, these look so very much like the sort of aesthetic I’ve come to expect on ABM. I’m not sure they’re for me, but I love how they look in your space! I love both looks!!! I am definitely going to add the wall pattern look to my house! I love the handpainted patterned wall – especially with those curtains! So lovely. Can’t wait to try that technique out! I’m a total sucker for the half painted door! What a genius idea!!! Totally doing this for the door leading out to my garage … It’s attached to my office and would add SO much!!! Love the way the wall turned out! Love easy interior ideas that are also cheap! The half-painted door is perfection! I completely plan on doing this…our apartment desperately needs a coat of paint! I love the half-painted door! I might do something similar to the door of my downstairs powder room. I love the wall, though I fear my patience would run out halfway through, leaving an extra interesting bit of art… So, door it is! Both fun! I love the door. Super cool. I’m into the half-painted door – it looks fab! I love the half painted door! I can imagine the door closed on the outside of the office and I see that it’s half colored, I would think that the creativity on the inside is coming through the door haha idk I love the door and that is what I’m doing to mine. Thanks for the idea ? the half painted door for sure. Though the tips on painting a freehand pattern were super helpful! The hand painted wall was so simple but brought so much to the space! LOVE IT! The hand painted patterned wall is brilliant! I love the door – so fun! I’m impressed by how cool that wall looks! It’s subtle, but a bold statement at the same time. Absolutely LOVE the half-painted door (i think the yellow is making me biased) and I’m totally into painting the knob too! Loving the hand painted accent wall! We went crazy when we moved into our house and painted our dining room Citron and living room Chartreuse, but our entry way and kitchen are a plain white. I thought that would sort of help rest the eyes from all the color but it just makes them look disconnected from the rest of the house. They need some pizzaz! I love the door! It seems easy for a beginner and quicker too! LOVE THEME BOTH!! But I will definitely be trying the hand-painted wall, there are so many fun variations possible. I love the accent wall – so fun and simple! I LOVE the door, but since I rent I can’t quite commit to anything like that just yet. I can’t wait to one day make bold decorating decisions like that! Can international readers enter this giveaway too? I really LOVE the door, it makes the house so much more fun! I really love both methods. The half painted door is such a statement and the hand painted wall is so fun! I’ve never been that great at painting, but I love doing it. That half painted door is incredible. I love how white and yellow POP! Absolutely gorgeous! That patterned wall is rocking my little handmade world. Love both, but I’ve got to say, as a renter, I think the door would be a little easier to cover up once I inevitably move again! I’m loving the hand painted wall. Gives a nice pop without too much paint. Thanks for the giveaway! Love both – but my favorite is the hand painted wall. I’m really digging the wall! I think it’s a great idea! I really like them both. The half painted door is such a statement and the hand painted wall is so fun! I’ve never been that great at painting, but I really enjoy doing it. I like both, but the door would not fit in with my home at all. So I’ll have to say the accent wall is my favorite! i love the hand painted wall, but would get someone else to do it for me, because i’m shaky. the half painted door i would totally feel comfortable with doing myself, though. love them. I love the half-painted door! I like the look of the door moreso than the wall. I love the wall! What an easy way to add personality and texture. I think the wall is my favorite! Really adds subtle dimension and intrest without the commitment of a bolder choice! the half painted door looks great and simple to me! The door project looks fantastic! The half painted door looks AMAZING!!! Such a simple concept with such a bold presence. LOVE IT! Elsie, i love your painted door! Its sooo special and nice. I totally love the door half painted idea! I actually wouldn’t mind trying a triangle on the upper part of the door and then painting the bottom half the door as well (with the same color). I don’t venture much with paint, so that would be a great way to branch out and try something BOLD! I love the hand-painted wall! It seems so easy to change when you decide you need to freshen up a space. Love it! I love both!! I think I would do the half painted door! Such a bold and fun idea!! Alright… I’d totally do both! Btw I jut got my copy of Happy Handmade Home and I LOVE it! LOVE the wall, great technique! I love the half-painted door. It has so much personality with a lot less effort than painting the rest of the room. So sweet! In love with that door!! Love the half painted door!! So simple, so much impact! ?? I love the simplicity of the painted wall and how easy it is to do! The patterned wall turned out so fun and I love how the curtains are hung on that wall as well! Great job, Laura! The wall is definitely my favorite! I’m going to try the same in my home office/hallway. Both are cute, but I love the door! I would love to repeat the half painted door! I love the door! I will try this for my babies room, I think it will make the room so special. Oh, the hand painted wall is incredible! I feel so inspired – which wall in my house can I paint!? The hand painted wall is adorable. Love it! I love both designs! I am moving to my first home soon and am looking for easy ways to add color!! preeeeeetty obsessed with that wall! I love the subtle texture of the hand painted wall!!! Hand painted wall is to die for ? I love the simplicity of the wall and the visual interest it adds without being overwhelming! It is a really fabulous, and easy, idea! I love the bright pop of color that the door has! But I think of the two, the subtle wall pattern is my favorite! The half-painted door is such a cool idea, especially with all the details (knob, etc.) painted too! I would love to paint the back of my door with that technique, only in a light coral! So pretty! Love both, but I think the patterned wall is my favorite! I LOVE the painted door. My boyfriend and I just bought a house and I’ve actually been daydreaming of a half painted door somewhere! love the patterned wall! thanks for the giveaway. I like the hal-painted door…then again I think yellow is the best color in the world! Moving soon and I can’t wait to paint only half my bedroom door in mint !!! Thank you for the day to day inspiration! Wow, hard to decide. I think the wall wins by a hair. Both are amazing. What an inspiring office. I love the half-painted door…then again I think yellow is the best color in the world! AHH, I love BOTH! But I think the door makes such a bold graphic statement! I would definitely love to try the door technique in my own home – maybe in black and white?? I love the patterned wall. The wall is SO fantastic! Loveitloveit. Hand painted wall is amazing! I love the accent wall! I have one that is in desparate need of an update and this is a perfect solution! I love the patterned wall! I am in love with that door! I am absolutely in love with that wall! My jaw literally dropped when I saw the finished product. I’m now looking around my house to find a wall I can paint like that too. It seriously looks so amazing. You guys did a wonderful job! I’m partial to the wall technique. Both are so lovely! I do love the effect of the accent wall, though—such a simple method for a profound change. I love the half-painted door! So cute! The wall… As a renter I can see that being easy to do and easy to paint over before moving! The half painted door is so unique, yet simple! (which is why I love it!) It’s like… why didn’t *I* think of that? :0) You girls are too cute. I love how you break down how to do everything so it’s easy for us. 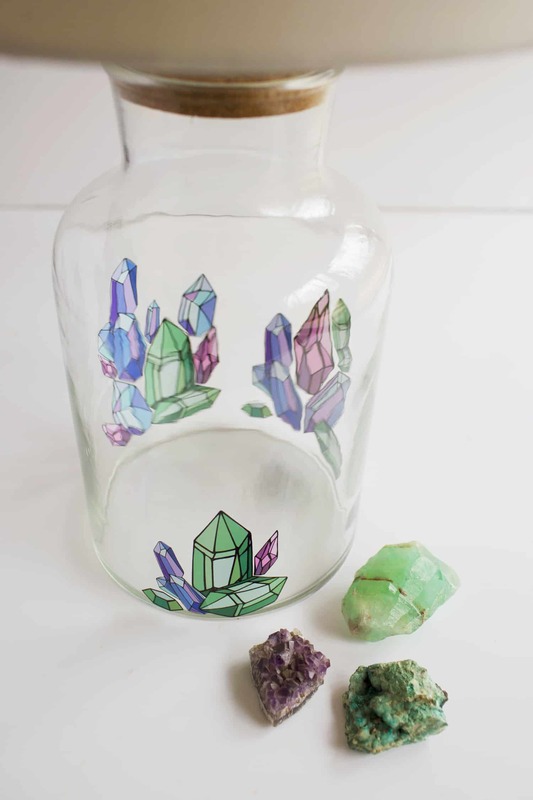 Awesome giveaway… I need more color (paint) in my life :0) !!!! Loooooove thee half painted door. That’s genius. I LOVE that simple patterned wall. This would be something I could take on in my rental as it’s easily covered up with a fresh coat when we move out. I’m loving the half painted door. So whimsical and fun. I’m more into the door! I love the concept of a hand-painted wall, but the door has so much surprising pop! love the wall! I have a white studio and may have to do something similar! Love the wall! So cute. I like the handpainted wall because it sort of looks like wallpaper but without the trouble of hanging — and later removing — wallpaper. Also, it gave me the idea of doing a similar wall with raindrop shapes. Thanks for the tip about making a guide. That’s a really smart idea. The wall is my favorite! i am in LOVE with that half-painted door! that bright yellow color is gorgeous night to the bright blue couch. I would probably do a hand painted wall, we are going to have another baby so I was thinking of spurcing up the kids room and I thought paint could help make it look bigger. After seeing the painted door I may even go in that direction, either way I need paint! I’m really into the patterned wall! Especially as an accent wall. I’m in the process of a move/renovation so this giveaway would be a great help! So inspired by the hand painted wall. I would love to try this! The painted door is the winner! I love both, but I would say that the half-painted door is my favorite! It’s just a simple way to make sure a big statement! My boyfriend and I will be getting our first place together in January and I definitely want to try these techniques to add our personalities to the space. I love the wall! It’s amazing that something so simple could look so good. Oh, I loooove the painted wall! So pretty. That patterned wall is so simple but adds so much to the space! I love it. Definitely going to have to give that a go. The wall is cool. Way more dynamic than the standard accent wall. both are fabulous, but that wall!! that half painted door looks so great!! I absolutely loved the bright half-painted door! Such a fun and easy pop of color! I am in love with the door. Adore the color, too! Looooooooooove that door!! So funky, yet so simple! the half painted wall! lovely. Half painted door- so cute! I am 13 and I love the Wall! It is so unique you would never find one anywhere else! Love the statement wall! Such a simple pattern that looks so great once it is completed. I am loving the painted door! I have been looking for simple, fun things to do to make my home more my own. I am definitely going to try this! That wall is perfect! I love how whimsical it is! I just bought a house so I’ve been tucking away design ideas. I lovelovelove the hand painted wall! And also, I adore the transom window. love that handpainted wall–that’s what i’d do! i love the door but I love the wall even more!!! seems super perfect specially for someone not committed 100% to an entire wall. but something I really loved was the stripped ceiling in Emma’s and the girls office!!! what a way to set a statement. believe it or not that’s the first time ive seen that! not even on pinterest….and its pinterest!!! I love it all and from the little glimpses, Elsie I LOVE your office!!!! I love the hand painted wall. Such a great idea for my kids room, such a gender neutral design and not to mention cute. Do I have to pick? Both at awesome! The door though, comes out on top… slightly. I am loving the half painted door. I have never seen that done before. The wall is so great! And i love that shade of grey. Both fit the space so well, but I am partial to the half painted door! So cheerful 🙂 love love love your new office space Elsie! Can’t wait to see the rest in more detail! I absolutely love both! I think I might have to do what accent wall in my living room and the door would spice up the inside of the bathroom or bedroom! Wow, I really love both but if I had to chose: half painted door. What a unique and simple thing to do to change the look of the whole room. You girls are really so creative. It is inspiring. The whimsical wall is fantastic! I love the patterned wall! So cute! I love both projects, but I think the hand painted wall is my favorite. So much better than wallpaper! I love both but the half door is something I need to try! LOVE the accent wall! I have been looking for a subtle, but interesting way to fill a wall in my house. I think I’ve found it! I like the half-painted door! I really love the half painted door! It looks so cool! Love the painted wall! All of your painted patterns have turned out so neat – I especially love the bathroom pattern. I adore the half/door! Sorry if that sounds corny but it’s great. i like the wall best! I’m LOVING that hand painted patterned wall! So fun! I am digging that accent wall! I’m trying to decide on a pattern for an accent wall in my bedroom, and that one is a likely candidate! I absolutely love the accent wall! It’s something I would do in my own home for sure. I like the hand painted wall! Love love! Both are super fun, but I like the impact the patterned wall has, even with such a subtle color. Fabulous! I love love the hand-painted wall! It’s so simple and chic!! I like that it’s graphic without being too over the top bold. I love the wall! Great way to add pattern without going overboard. I love the patterned wall! Its simple, but clever. I LOVE the hand painted statement wall! I recently painted my studio with a fresh coat of white and would love to add something like that as an accent! I like the half-painted door cause we can mix up different color for different doors at your house ( example, bathroom, bedroom, etc..) Each color will personalize your mood for every room around the house. The half painted door is striking, yet more subtle than the accent wall. I like that in an office space as, though the door is inspiring, creative, and fun to look at, it’s less busy and creates more calm than an accent wall. Accent door for the win! I am totally into the hand painted wall, except that it’s a little hard to choose. I might need to go paint my bedroom now! Love love love the hand-painted wall! So simple but stylish and versatile. It makes such a difference in the room! I would love to do a half door in my apartment! Love the new office space…I was saying to myself “where is Elsie’s desk” when finally it appeared, very neat, retro and pretty. All in all… a sweet and creative space to come up with more magic and projects! As much as I love the way the wall looks, it seems like a lot of work. So I’m going to go with the door. It’s so simple and bright! You know, I’m not really sure. I guess I”m not that crazy of a person. But I think that I could go for a patterned wall! I would love to do a hand painted wall like that! I like both too! But the wall is my fav because it’s so easy but turned out fabulous! I’ve always been intimated to try stenciling or free handing a wall like this. But this is definitely something I would try! I’m in love with that wall! This is a nail biter! I’m torn because I love the crazy idea of painting a door that way. The yellow totally jazzes up the space. Good for people who are afraid of color! The wall idea is brilliant! It might take some patience, but to get the same effect as wallpaper is remarkable. This is especially great for rentals. I’m going to show this to my sister, since she is thinking of painting my niece’s room. She can do white with pink, or pink with white. Endless possibilities! So if I have to choose…I choose wall. Thanks for the great ideas! Accent wall all the way! Oh my gosh, I am obsessed with the half painted door! It looks amazing and that yellow is great!! I love painted accent walls. I painting birch trees in my bedroom, and now I’m thinking of painting some giant colorful flowers in the living room. Love the way the door looks! I love them both! They look great with the color scheme of the office. I love the hand-painted wall! The hand painted wall is my fav! I want to do this in my bedroom. I love the half-painted door! any way to add more yellow! Can’t wait to see more photos of the office! I am so inspired by the hand painted wall. This has my brain rolling with ideas for my master bedroom! For me it’s the hand painted wall, hands down. I think it creates more of a statement without being overpowering despite it being a wall versus a door. The color choice tones it down but still adds dimension and interest. I love both ideas but for my room I’d have to go with the wall since my door is already stained a beautiful color – great idea! Looks awesome! It’s super hard to decide between the two…but I’m digging the boldness of the half-painted door! I’m in LOVE with the grey accent wall!! I love the statement wall, hands down! The color makes it so that it’s not over powering in a small space but still adds interest. Awesome wallpaper alternative! I like the hand painted wall technique the most! I love that accent wall! Oh, I LOVE a good painted door! Thanks for the giveaway! The door is so unique. I absolutely love it. Ugh, love both, hard decision! If I were doing it for myself, though, I’d do the wall 🙂 Thanks for the opportunity! Both looks are great! My favorite is the hand-painted wall – I can think of a hundred different possibilities for this style in my apartment! I adore the half-painted wall, but I think my favourite is the wall. When I saw the first picture of it, I didn’t think I’d like it, but I love the overall effect it creates and it’s so simple that you really don’t have to be afraid of messing things up. I love love love the patterned wall! I absolutely adore the look of your half-painted wall! It’s so bright and cheerful and UNEXPECTED! I can’t wait to see even more of your gorgeous space. Oh i am so in love with the half painted door in yellow! I think I may do this for my office at home 😀 beautiful space, Elsie. Oh, that is a tough call. I love the half painted door, but I see myself leaning more toward the wall for my own house. Both look incredible in your office, Elsie! I really, really like the wall, and the suggestion about making a guide is inspired. Thank you! Super hard choice to make because I love them both! I would probably try the half-painted door first though so we’ll go with that one. The door is very unique. I absolutely love the it. I love the wall it’s perfect! That half painted door is rad! The door provides just the geometric pop that I’ve been looking for! I love the half painted door – so fresh and unique looking! This is a hard one both are so great. I would choose the patterned wall on my bedroom and my son would love the half painted door for his room door. Thanks for creating some more inspiration!! Love the half painted door! The door is great. Gives you a great welcome. I love both of them, but if I had to pick just one I would go with the door. We have a ton of old doors in our house, and I think the half painted door would be so much fun to try. I love the wall because its subtle enough to use anywhere in the house without sacrificing impact. Duuude, I love your office! Love the hand patterned wall! I love the hand-painted wall (would love to try it in multicolours). The hand painted wall! So awesome. Love the half painted door?! Bright yellow is such a fun color! I’m a patterned wall type of gal! I’m into the half-painted door. It’s jus the project my 16 year old daughter’s room needs to make it fun. The hand-painted wall! I might need to try that in my babies’ room. The half-painted wall is AWESOME! Love it! The hand painted wall would be the perfect fix for my currently boring room. My fiancé and I are on a tight budget until the wedding, but working in interior design – I hate bland!! Love the office, elsie! Thanks for the giveaway ABM! Both are amazing, but I LOVE the hand-painted wall!! I like the painted door! I think it is better than trying to wood stain the door. Love the hand-painted wall! Thanks for the chance to win. I love both but I think the hand painted adds more of a personal touch. Keeps your space unique! Y’all amaze me everyday with all the wonderful and creative ideas that comes out of those brains! I love the hand-painted technique! Of course the patterned painted wall, so clever. LOVE the way you inspire me. Thanks for sharing YOUR creative and talented selves. I love the half painted door. I am absolutely in LOVE with both, but I would prefer to do a wall in my house. I really love the half painted door! It is so different and fun. If I did a half painted door, I think I would use a mint color. But the yellow is so cool, too. I don’t think I could convince the hubby of yellow in our home ;). that half-painted door looked really fun! I’d go with the diagonal half door. The patterned wall is great, but I’m too much a stickler to freeform without perfect spacing. I love love the half painted door! It leaves so much ro for creativity (angles, overlapping colors, etc) and is just enough not to make the hallway overwhelming. touch call but i love the wall! Absolutely loving the hand painted wall! I LOVE the handpainted wall. I’ve been wanting to try something like this! My husband and I are moving into a new space next week that already has beautiful grey walls… but I think a handpainted accent would be just the trick to make it more “us”. tough call but i love that wall! I totally love the half painted door, I think I may even do it in a teal color myself! I love the patterned wall, but I think the door would be fun to try first. The door! It looks amazing – what a difference color makes. I would love to try the painted wall in my kitchen! The handpainted wall looks amazing! I’d love to do something like that in my hallway to separate the entryway space from the rest! I like the patterned wall – I have one patterned wall in my condo. Now I want more! I love the hand painted wall! It’s simple but makes the room much more interesting. I think I am more into the handpainted wall and can see myself doing that to my living room. Love love love that accent wall!!!!! I’m really digging the hand painted wall, I’d buy that as wallpaper! I’m loving the patterned statement wall. I usually like super clean lines, but this look is striking! Personally, I’m all about that door! Love it! I love the wall. I might even do one this weekend! I loved both but I think I love the wall most. 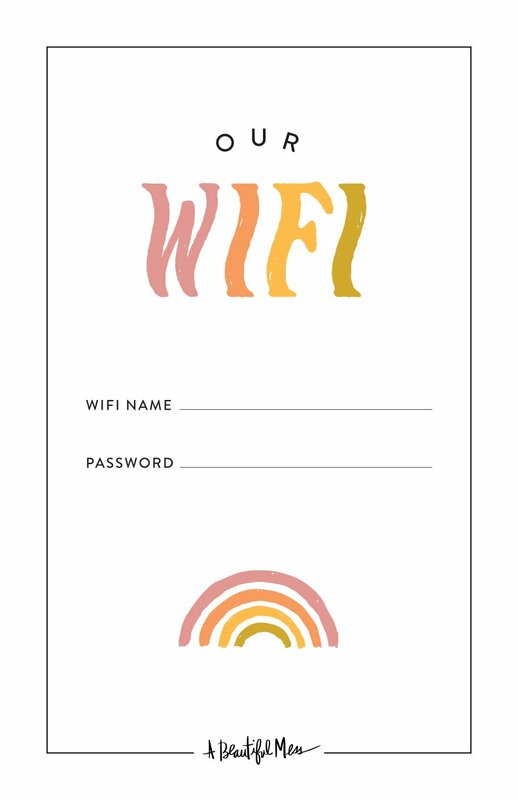 Cute + simple are what works best for me when it comes to home DIY’s. Great post! LOVE the wall. Would never have thought something so simple would make such a huge impact! definitely the hand painted wall! amazing. I just did a wall mural in my spare bedroom, inspired by Oh happy days polka dot wall from a few years ago. Hand painted walls are the way forward! The wall is my favourite. I have been wanting to try a little accent wall in our home for awhile now! The door has my heart! Thank you for such an awesome opportunity! I love both but my favorite is definitely the patterned painted wall! So simple! I was skeptical about the wall in the first picture you showed of Laura painting it… but when I saw it in context I was eating that skepticism right up! I love it so much! I recently did something similar to the hand painted wall on a couple canvases and I love how they look! Hand painted wall, for sure. i like the subtlety of the wall! we’re redoing our 1950s bungalow and would love to try out DB paints! I love both! I’d probably do the door, for less commitment, but I love the simplicity of an accent wall that’s not a totally different color than the other three, ya know? That wall is the best! I love the half painted door! Would totally do that in my house! I do like both but I especially like the half painted door. But I really do like the painted over door knob. I can’t decide – they both look awesome!! I love the half painted door!! i love the half door. It’s so cute. I love the door but it’s not as renter friendly, so i’d go with a patterned wall! My kitchen definitely needs a little something something. I love the half painted door! I don’t think this is international, but the projects both look great. The half door in yellow is fantastic! I love the clean modern look it brings. I think the subtly of the hand painted patterned wall is more my style. I love the hand painted wall. It’s like wall paper but much more modern. I love the handpainted wall. I want to do one with gold stamped bunnies! I love them both but I would be more likely to do the statement wall! The patterned wall is more me although I could see a half painted wall with a vertical stripe in my space. Fun ideas! I love the statement wall but the half painted door is just such a simple way to add some flair!!! 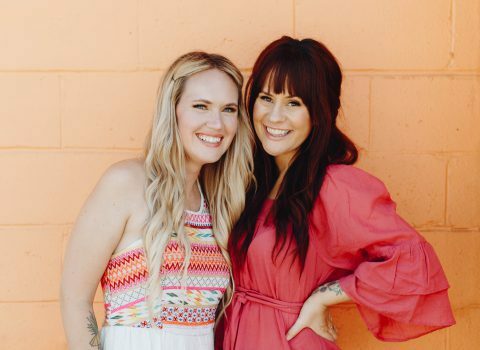 They are both great, but I can totally see the accent wall in our house–super cute!!!! The wall is my fave. I love neutrals in a space filled with natural light and I think the little bits of gray are the perfect amount of color! I would definitely have to say the half painted door! There is just something so fun about the diagonal block of bright color. I love both, but the wall is my favorite! You could do so many things starting with those steps. I like the idea of making the strokes into arrows with an accent color. Filing this away for when we buy a house someday! The patterned wall – minimalist yet so, so full of life. Love the hand painted wall! Who would have thought that a half painted door would look so neat?! I love the door project. Thank you for the idea and inspiration! I’m loving that wall! Very quirky, but understated – and so fast and easy! Beautiful space. Not sure I can choose which one I like more… both are so cool! But I am loving the half painted door the most, I think! Wow! They both were some simple, but creative techniques kind of hard to choose from…but I would totally do the half door!! Maybe mix it up a little with several colors. Pretty wicked!! Both are awesome, but as soon as I saw the wall, I wanted to try it in our bathroom! Love the hand-painted accent wall! Half painted door all the way! So fun – I love that bright sunny yellow! love the painted patterned wall!!! i have a lot of white walls that cover more than one room (lofty apartment) and that technique would be so fun to fade one room into another! love it! I love the simplicity and elegance of the painted wall technique! I would love to try it once I have my own place! Half painted door! I love the bright color! I love the wall! Quick and subtle, but with a totally dramatic impact. I love the half painted wall. I absolutely love that accent wall! LOVE the hand painted wall! So inspiring! You guys rock! I love both techniques so much! BUT… I live in a loft with no doors, so the hand painted wall technique would be the winner for me! Love both! I would choose the patterned wall (b/c my doors are stained wood….not sure how that would look half painted). Thanks!! i love the door! such a fun and unique detail. I love the accent wall! So subtle, but adds so much! I love the handpainted wall! It’s just fantastic! I love the hand-painted wall! It’s subtle enough for even a renter like me to try! what a pretty room! i love the hand painted wall. thanks for the inspiration! i really really like the statement wall. It appeals to my sense. I’ve been thinking of doing a patterned wall in our guest room, this seems perfect! I love the whole room! will definitely need to steal some ideas when I move next year. I love the door because i would never have thought of doing it and it looks amazing. The hand-painted door creates such an illusion no matter how you look at it. I love it! Love the hand-painted wall look! I think the hand-painted door creates such a great illusion no matter how you look at it! I love it! The door is honestly so adorable. I’ll probably spend all my time trying to figure out a renter friendly version now. I need it! Half painted door, so creative! I love the wall. I wish I was able to paint a dorm room, It’s so boring and the wall looks so easy and cute!! I absolutely LOVE the door. Such a fun and easy way to add a pop of color! Especially since it can be done on just one or both sides. Maybe chalkboard paint for the inside of a kids room? The hand painted wall adds such a nice touch to the room! It makes it feel super special! The door is my favorite! I LOVE hand-painted wall. I would love to do something similar in my bathroom! The hand-painted wall would look so cute in my bathroom! I think the hand painted wall is my favorite. I adored the constellation painted bathroom that you guys did earlier this year, and this just reminds how fun it would be to branch out and do something different to my walls. So cute! I love the accented wall! It’s so unique and looks great. I so love your half painted door. What a great idea! Both are super fun but for me it’s all about the half painted door. So bold! hand painted wall of course! The half painted door is my fav! The patterned wall. And I love the taped up sketches! I actually love them both and could totally see myself doing both in my office!!! I like the door, but it doesn’t really fit the style of my home. That hand-painted wall, though, is THE MOST ADORABLE WALL EVER! I seriously love how simply modern and chic it looks without being too trendy. It looks great now, and it will still look great in a few years. What a great alternative to patterned wallpaper. I love the hand-painted wall!! So chic and fun! Love both, but this door is amazing! I love the wall, looks just like wallpaper!!! I love them both, but I think I’d go with the accent wall first!! I love the wall! And I really love the bright yellow you choose for the door. 🙂 Cute room! These both look so great- I love your office! I’m really drawn to the half painted doors, and all the doors in our house could use a fresh coat of paint! I LOVE the look of your office, Elsie! I think the wall is my favorite; I’ve always been a huge fan of having murals or fun paint or even wallpaper on one wall, and the simplicity of your wall is so good! I love the patterned wall! Looks great! I want to try the hand-painted wall! Thanks for the idea. I love them both, but I would love to paint one of our doors halfway! I adore that wall! Who knew something so simple could have such a cute impact. Well done ladies!! I love the free form painting! I’m going to try it out in my new house! Yours is the first partially painted door I’ve seen (or heard of) and I’m all over pinterest – really neat idea! I have a new builder-grade-everything house and doors are next on my list to jazz up a bit. That said, I think I love the hand painted wall even more. I would have never thought of something like this, even though it seems simple enough. Really cool! Definitely the statement wall! Totally wanna try this! I really like the patterned painted wall. It has the wow factor. Appreciate the tips. That yellow door is amazing. I would love to use this technique in my own home. While I love the half painted door, I never thought to freehand paint such a simple pattern on the wall! Such a great idea! It’s so difficult to pick one over the other. I truly adore both! But the crispness of the door is just so striking! I love the yellow on the door, but I’d have to go with the wall! So simple and elegant. The wall is my favorite! I really love the door but the pattern you designed for the wall is just so beautiful and unique. It really pulls the room together. love it. They both look amazing, but I’d have to say the pattern wall is my favorite!! You know I love me some handpainted walls! But I did just paint my office door yellow, so I love both! I love the free hand in grey! So easy and its not the commitment of wallpaper ? I’m loving that accent wall. Neutral yet loud all at once. Awesome! I prefer the hand-painted wall, it looks like it would take longer but I love the look of it! I like the wall technique because it’s seems you could either go big or small to contrast or accent your furniture. I think you could do this with the door. Make it rustic or modern with paint. I love the hand painted wall. It’s amazing how a little bit of pattern adds to the fun of the room. Great job, Laura! I love the hand painted wall but I loved your hand stamped wall for inspriration!! I love the hand painted wall. I think it would look great to do that in my son’s room! The hand painted wall looks amazing!! I will have to do something similar when I buy a house! Actually, I can’t wait to own a house, all of my projects will probably come out of ABM. I love the idea of the hand painted accent wall! This would be such a fun thing to do in my toddler’s room. I totally love that accent wall! My husband and I are in the process of moving into our first home. I can’t wait to try this! I’m more into the patterned wall – I’m hoping to add a statement pattern on our next apartment and nursery! I like the half-painted door. … oh the color! and that door (love)! ps. i like yer top. I am captivated by the patterned accent wall. Love how bright it keeps the room while adding a little interest! I love the color blocked door! While I would love to do that door! I would have to do the statement wall (brooklyn rental) I may need to run out and get that gray!! Love it! definitely the hand painted wall! its so cute! that guide looks really handy too. Wow that looks so simple to do and yet it makes the room look spectacular. I need to do something like this to my house. That hand painted wall is right up my ally!! Great job in your office! Ooh! I love the wall! I love the hand-painted wall. I’m starting to decorate my nursery and it seems like a fabulous (affordable!) design idea. I love both, but that wall is fantastic! I gotta say, I’m totally into the pattern wall. I absolutely love the simplicity of the brush strokes! I lovezzzz the wall! It’s such a nice, crisp look. I would love to tackle that in my home / office space for my new handmade shop. Thank you so much for the inspiration and for the beautiful mess ;). I love the hand painted wall! What a great way to add texture without making the wall too busy. You inspire me with all of the patterns you paint on your walls! I am redoing my little boy’s room and a new nursery for baby #2! I would like to try the hand painted pattern wall. It turned out really well in your space and I might be brave enough to try it in my house! The hand painted wall is fantastic, it’s the way of the future I am sure for unique design ideas:) love! Absolutely loving the half-painted door. So fun and bold! Decorating a new home soon and this post (and all your home posts) was so inspiring! Thanks for sharing!!!! Love them both, but the wall is sublime! I like the ease of each technique, but I think the texture accent wall I would do in my home! I like the hand-painted wall! P.S. 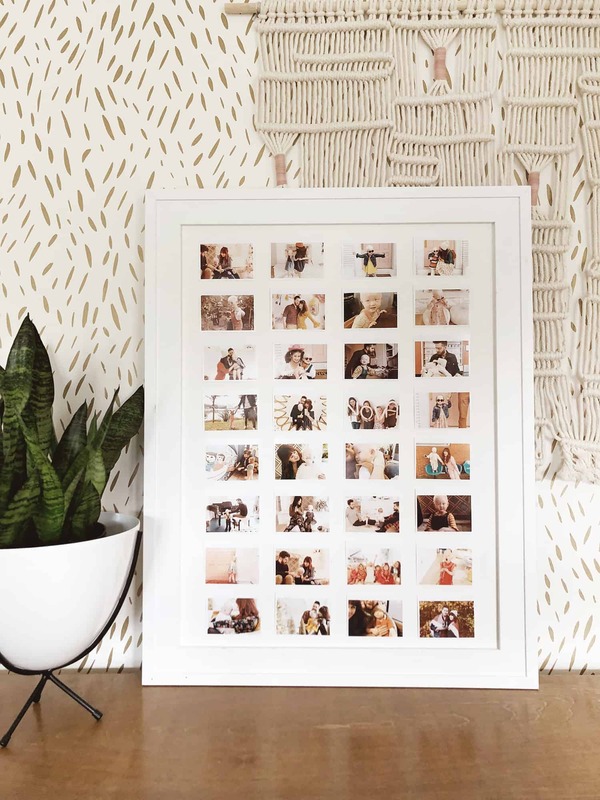 Your illustrated designs look so cute collaged together on your wall like that! They both turned out really well! The new wall is super cute. Thank you so much for the giveaway! Love love LOVE the hand painted wall! The grey is subtle but makes a great statement. I love the hand-painted wall – it turned out great! The wall is my favorite 🙂 Very unique! I love the half painted wall. Very cool yet simple idea. I love the hand painted wall! It’s such a fun, quick idea to freshen up a space. I absolutely L O V E the patterned wall!! I love both, but I think I could convince my husband to let me paint the inside of the nursery door, not the outside. I wouldn’t normally consider an accent wall but I love the simplicity and the subtleness of this one! Definitely a doable DIY that really livens up a small room. I truly love both but the door is my favorite… it all looks fantastic!! Hard to decide, but I think I like the door best. I love the painted door! What a fun, bright pop for your office space!! Goodness how I love how daring you are with colors and concepts. I wish could do the same, I tend to be too conventional for my own liking. What’s your trick to let your mind run free and dare? I just adore the patterened wall! Ahhhhhhhhhhhhh I really love the hand painted wall. So impressed that something so simple looks so stunning! I love the hand-painted wall. It turned out so cute. I am such a fan of colour blocking so definitely the door! Love it all! Hand painted wall all the way!!! I would love to incorporate the half-painted door into my own home office, or our attic remodel! They’re both fabulous, but I LOVE the half-painted door! Funny, we have been applying samples of paint to the interior side of our back door to add a pop of color. Never considered the diagonal divide. Love it!! And the color choices! Love both, but my favorite is the wall! I am in love with the half-painted door! You know, I’m really feeling that brightly painted, graphic door! I love the pop of color on the half painted door! I love the door but that accent wall is killer. My house is also small, bright, and WHITE so I may have just found a solution! I absolutely love the patterned wall! It’s amazing how something so simple can create such an impact! The half door paint job Is so much fun. I think our house needs it, especially on one bathroom door that is next to two bedrooms. It would help guests find the right door instead of wandering into bedrooms. definitely love the hand painted wall! how unique!!! This is so nice and creative! Totally pinning these for future reference! Love the wall-an easy alternative to wallpaper! Love the half painted door! Such a nice pop off color. It is seriously so hard to choose! I’d have to say the half-painted door though. I feel like if I started to do those little dash patterns on my wall, I’d get too crazy and the wall would end up too full! I really like the patterned wall! I would love to do this in my house!! I love the look of both, but the hand painted wall I can visualize in my home. I’m thinking about doing this in my girl’s room with metallic gold. I’ve been trying to figure out the perfect accent wall for their room. Thanks for the inspiration! Oh boy. I really love the whole dang room!! I love the door and I love the hand painted wall. I love the rug and all of the colors everywhere. I think by the tiniest ittiest bittiest fraction of a bit I like the door more than the wall but I hate that I had to choose! I love the half painted door. It actually does double duty…both the hallway and the room have a pop of color! Nice two for one! I love them both but especially the patterned wall. So easy! The curtains are great too! i love them both. but i think in my own house i’d do the wall. I love the door! What a great pop of color! I would LOVE to try painting a door like that sometimes. Yours looks brilliant. I just adore the yellow! Thanks for the inspiration! I truly think both look lovely, but I’m very much digging the hand-painted wall. My very white apartment could use a little of that! Definitely the hand painted wall! The hand-painted wall is definitely my fave! I love the texture of the hand-painted wall! I love the half painted door but I see a patterned wall fitting in my house really well, I especially like the grey subtle design you chose! I really love both, but the simple statement wall would be perfect for me! My SO is military, so we move a lot, and can’t do DRASTIC color changes. I love the hand painted wall! So unique and so fun! Love them both but I would do the wall. I love the hand painted wall! Definitely unique and easy to paint over if you ever want something different! I love them both!!! I only found this website recently and it makes me so happy 🙂 I think te and painted wall is brilliant- such a unique alternative to wall paper and it makes the space look so inviting. I’m painting my house at the moment and have so many great ideas thanks to this blog! Definitely the patterned wall. Love how it turned out. Definitely the hand-painted wall! If I had the opportunity to paint a wall I’d use different colors and would build up textures for a truly unique spot in my house. the hand painted wall is to die for! OMG! I REALLY LOVE THAT ROOM! IT’S POWERFULL! CONGRATS! HAVE A NICE WEEKEND! Just bought our first house and would love to paint our walls a pattern! Thanks for the giveaway! Just bought our first house and would LOVE to paint some patterned walls. Thanks for the giveaway! I am LOVING the painted door! I now know that my next project will be in my house, thank you so much for the inspiration! Since I live in a rental, patterned wall is the most fitting for my space. And what a simple pattern! LOVE. We are looking to buy a house and I can’t wait to decorate. I like the painted wall, the pattern is subtle and fun! I’m more into the wall of the two. That hand painted wall is AWESOME! Love both but the wall is totally going to happen in my house!!! The half painted door is pretty cool! absolutely love the wall and the door! really makes me want to live in a place that i’m not renting. i’ll bookmark for the future! The wall is so fun and an looks like an easy way to bring some interest into a room! I love the half painted door!! Although I would paint it towards the doorknob! Yellow is an awesome color.. but I would prefer green or blue! Half painted door all the way! i am totally digging the hand-painted wall. it’s so fresh! i love everything about it. Half painted door is my fav. And love the color. It’s such a tough choice, but I’ve got to go with that wall. It’s so understated but makes a beautiful impression on the room. I love the half painted door. I have several accent walls in my apartment and would be really into continuing the idea with the doors! I absolutely love that accent wall. I would love to try that out on one of my boring white walls. I love love LOVE the hand-painted wall technique! Totally into the hand painted wall! I’m going to do this in my craft room for sure! I love both, but I wish my landlord would let me paint a half door! I love the hand painted wall the most! Imagine using matte and semi-gloss paints of the same colour to create texture, instead of a drab wallpaper?! I really like the half painted door. Makes it pop but isn’t too overwhelming in the space. I love paint as the go-to option for freshening up a space. The 1/2 painted yellow door is dope! What a sunny entrance! I love the painted half door! It would also look great with double doors, making a triangle pattern together. Can’t wait to paint doors with that bright yellow shade or perhaps a pink. Looking forward to seeing more of the new office! While the statement wall is a genius and simple decor idea, the door is what I’m most keen on. As a young girl I spent hours decorating my door, and it’d be fun to try this more simple approach that makes a great impact. I love both, really considering the door for my nursery now. Love the paint technique on the door! I loved the accent wall! I’m definitely interested in learning the hand-painted wall, it would be perfect for our living room. I’m digging the accent wall! I think I would go with the same color but a little longer on the brush strokes just to mix it up a bit! Wonderful idea! I just moved into my great grandmothers 1930s cottage that had been sitting empty for years, I could definitely use some beautiful Dutch Boy paint to spruce it up. Im lovin that hand painted wall, it’s so simple yet it makes a huge difference. hand painted wall in grey! beautiful, fun. my favorite statement wall aside from the giant snow leopard! I loved the painted wall, so cleaver and simple – and the end result looks amazing! I love the half door! The door is beautiful and makes such a statement, but I love the simplicity of the hand-painted wall and awesome it turned out. I’m definitely going to give that a try. I just love that half painted door! I could totally see myself doing that! Both the half painted door and the accent wall are cute, but I’m partial to the wall myself- really gives colour and personality without too much work. the subtle paint stroke accent wall is adorable! These are both AMAZING & so simple! I adore the hand-painted wall – it’s elegant, fun and relaxing all at the same time. Beautiful! Half painted wall! I keep coming back to look at the photos. It adds something really striking and different to the space. I honestly love both so much! However the door is something I could totally see myself doing In my apartment. So it’s almost 1am and I seriously contemplated getting up and half painting my door. Love it! I love them both! That door would totally work for my barroom interior and I’m definitely doing the statement wall. Since I have to pic a fave, it’s the door! Thank you, yet again, for the great ideas. I’d have to say the pattern wall. Doh, I mean the door. Yeah, the door! But I love tbe pattern wall too. Please make sure the wall knows it came in a close second place!! I prefer the patterned wall. You could also hand-paint a door to combine the two ideas! I like the hand painted patterned wall. I just adds so much fun to the space! I adore the statement that door makes. I love the accent wall, it’s something I think I could do it my room. The door is great too I just don’t know where I would do it. Thanks for all the tips and ideas, you guys have my favorite blog, I always go to you first on bloglovin. The hand painted wall is amazing. Looks so great with the ombre curtains. Hand painted wall, for sure! Definitely loving the hand painted pattern, it has such a great vibe! I really love how easy both are. In less than an hour you could have something completely different! And I love that it doesn’t take much paint. I love the half-painted door! Especially in yellow! I like the hand painted wall! What a cool idea! I would love to do another handpainted wall! I painted my room back in high school…a GIANT beach mural! I love it! I’d love to do something a little more cleaned up and modern now though. Maybe an all white wall with a giant mandala in a similar grey color. LOVE. I think the half painted door for is awesome. What a fun way to update door! I love both but would absolutely do the door paint job! I love an interesting door. Love the hand painted wall idea. That would hopefully, be difficult to be mess up. What about a half-hand-painted door? You guys have inspired me to do a hand painted wall in my bathroom – it’s the perfect alternative to people (like me) with wallpaper phobias! I’m loving your pattern! Love the door! It’s SO bold! Hand painted wall is my favorite. So simple but such a big impact! I’ve always wanted to do a hand painted wall! Love how simple this is! I didn’t think I would like the door as much as I do, but it suits the space so well. I really love both but as for the technique I would use in my home, it would have to be the patterned wall. Simple and a nice way to play with patterns! I also really love the display of drawings and such on the other wall. So cute! I love them both! I think I’ll do the patterned wall for my daughters room…. I love the half painted door!! It’s so unique! I love the door…. But the handpainted wall??? It’s just gorgeous. I would normally never fool myself into being crafty enough to handpaint a wall, but yhis I can do!!! It’s really hard to choose. Maybe the wall, but I do love the door too. I love the wall! So fun! LOVE the door, so bold but simple. I love them both! But if I have to choose one, I’d pick the patterned wall. Such a great tip about using the guide! I LOVE THIS! I am about to re-do my design studio, because the space is not inspiring…and i’m totally hand painting a wall! I prefer the wall over the door 🙂 but they are both really nice. Hand painted wall would be the perfect accent wall for our house! I love the accent wall! Maybe I could get away with something like that in my rental–subtle and easy to paint over, but will definitely spruce the place up while I live here! Big fan of the half painted door, might add it to the never ending house list! I probably would have said the door but the wall looks amazing too! Loooove the painted door! I just moved into my first house a month ago and will definitely be trying that technique out!! Love the hand painted door! Cool look! I am completely in love with the hand painted wall! Statement walls always seem like such an undertaking, but this wall is really interesting yet simple. You guys never fail to amaze with your design ideas! loving the door so much! definitely want to try something similar. I love that patterned wall! I love the Accent wall! It’s a great solution to wallpaper or very precise techniques like stripes. Love it! I really love both the door and the wall! I especially love and would do the door thing if I had white instead of natural wood doors. I’d do it in a soft pastel, though, much more my style- though I do love the punch the yellow gives to the room. I love them both but my favorite is the wall! I would love to win this, my hubby and I are in the process of buying our first home and would this would help us with our decor plan on a budget! I love the half painted door idea! And I’m definitely going to try the half painted wall in my laundry room…. Love. Definitely the half painter door! So adorable and simple! The painted walls are so simple and creative! I love it! The half painted door! it’s so simple, and so brilliant! I love both but I especially love the hand painted wall! I love the handpainted wall! Question: did you also paint the ceiling the Dutch Boy Grey color? It looks like it from the photo but wasn’t sure if it was just the light. Would you be willing to share any of the other patterns you were thinking through? I want something similar but may be willing to do something a tad bit more bold. I love the door. Such a cool way to “pop” a room! It’s a toss up, the door is so unique and creates a fun sense of motion, while the wall is delicate and ads just the right amount of pattern to the room that is intriguing but not overwhelming. Forced to choose I would say the door, it does a rad job of replicating the light coming in through the window. Where did you get that adorable chartreuse rolling cart? My favorite is the hand painted wall! Hard to pick…I would say the wall wins out. Love the creativity of both, but the way the wall looks like wallpaper is amazing!!! That accent wall all the way! The hand painted wall is amazing! I love the half-painted door! But its not really common to do this in germany. So it would be a really new thing. Great room. Love to read your blog! I love the painted door, I will definitely be using this idea when we buy our first home, it’s gorgeous. It looks super easy, I’m sure even I couldn’t mess it up! I truly love the hand-painted wall! The effect is amazing! We painted all our door different vibrant colors, so each room is different. I also have an accent wall in the kitchen/living room area with all for colors. I love how it turned out! Painting tip: after placing painters tape on the door, before painting your color, first paint right along the tape in the color the door already is. Let it dry. Then paint the door your color. This will ensure no paint bleed and the most perfect edge! Trust me…try it! They’re both fantastic, but the door is my favourite. I’d love to do my room using a bright turquoise instead of the yellow. ok maybe this is just a cop out- but I kind of want both! I picture my all white bedroom with an accent door- half color (definitely blush) and half pattern (so many options). I think the contrast between a vibrant door and a white room is beautiful! gimme! While I love both, I’ve already picked a door to paint with that cute idea! I absolutely love the half-painted door. Painting the knob as well is a nice touch. The hand painted wall is my fav! ahhh, I’m so in love with this room, Elsie! I think it’s my favorite makeover of the new house. My favorite is the wall. That grey is gorgeous. Elsie did. It looks so great. I LOVE the painted door. I’ve just never seen that fine before, adds a ton of personality to the room. The door! Totally doing this on my daughter’s nursery door! the patterned wall- there is something charming about having it remain unique every time someone attempts it! I love love love the hand-painted wall! Would love to do something like that in our new appartment! Love the half-painted door! Definitely thinking of trying that at my house. I think the half door is amazing! If I wasn’t renting, I’d totally do that! So hard to choose! But I adore the wall idea, and have the perfect spot in mind! I really love love love your site. Every day I see beautiful DIY’s. I’m jealous you can do that all. My room is so childly but I can’t spend somuch money on it. So the visa card will be a good use. I like the whole room, the colors, the furniture, the accessories, everything. So I like the wall better than the door, because I won't dare that myself, but I really really love the room! I really like the door ! I love the patterned wall…I think my students would like this as a fun white board activity. I think I’d go with the half painted door! i love the hand painted door!! I think I should win, because I’m Dutch! 🙂 Just kiddin’, I don’t think it’s possible to ship te giveaway. The patterned wall is really awesome. It would be a great idea for our guestroom that is still in progress. I have to pick the hand-painted wall!! The haindpainted wall is great! Love the door but the statement wall is my fave! Simple yet so effective! I LOVE both! I think the patterned painted wall is just genius though. I can’t get over how simple and easy, yet super fun that wall is! I love the wall. We’ll be buying and moving into our first house soon, and I can’t wait to try something like this! I like the wall. I’d love to do something like that in my walls. I have to say I equally love both techniques! I can’t see a half painted door in my own home though but maybe a hand painted pattern wall 🙂 Your new office is lovely! Love the door but love the patterned wall even more, it’s such a bigger canvas!! I think the patterned wall s my favorite. I’ve been wanting to do this in my scrap room, but I am leaning towards doing gold polka dots! Oh man. That’s a difficult decision! They both look so great! And, goodness, would I ever love to win this! My husband and I just bought a home, built in 1965, that is going to need a lot of paint 🙂 Thanks for the chance! I’ve loved both techniques but the hand painted wall is so so gorgeous and I’m defenetly doing this on my wall! Thank you so much for sharing your work! You’re so talented!! I love the half painted door and the doorknob that blends in – fabulous! I am a huge fan of bright doors, but the hand painted wall is my favorite here! Great inspiration for my own office! I love the accent wall – great alternative to wallpaper – interesting, still subtle, not overwhelming. The color on the door makes the room really pop! Great together!! I love the half painted door. It looks amazing on its own but with that pillow it is spectacular! I loooove the half painted door! Love the half painted door idea! Thanks for always giving us creative ideas to inspire! !